Lack of angiogenesis, inflammation, and low differentiation of MSCs upon transplantation to ischemic site are major drawbacks in cell therapies for myocardial tissue regeneration. 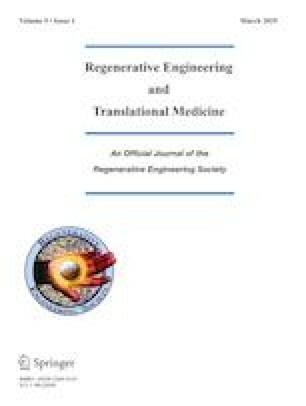 To overcome these problems, this study aimed to increase the angiogenesis, anti-inflammation, and differentiation of human umbilical cord MSCs (hMSCs) into cardiomyocytes by activating the delta opioid pathway by its agonist SNC80 with the combination of zebularine, activin A and oxytocin. Human umbilical cord MSCs were seeded on gelatin-coated plates by using alpha MEM. MSCs were treated with SNC80 and the combination of zebularine, activin A and oxytocin. Media and inducers were changed every 3 days once until 21 days. Spent media collected from day 7 and day 21 was used to estimate angiogenic (VEGF) and anti- or pro-inflammatory cytokines (IL-10, IL1b, IL-6) levels by ELISA. The effect of spent media on in vitro endothelial tube formation and anti-inflammatory effect on inflammation induced with LPS on macrophages was also studied along with cytokine levels. Proteins that were isolated from day 7 and day 21 were used to study for cardiomyocyte markers (GATA4, MEF2C, connexin 43, and KCNJ2) and NOTCH1 involved in cardiomyocyte differentiation using Western blot. Activation of DOR increases the VEGF secretion levels estimated by ELISA and increases the in vitro tube formation in terms of number of loops and total length. Delta opioid receptor (DOR)-activated conditioned media secreted anti-inflammatory cytokine IL-10, which could prevent the secretion of pro-inflammatory cytokines IL-1b and IL-6 from LPS induced macrophages. DOR activated MSCs upregulated the early and late cardiomyocytes markers (GATA4, MEF2C and connexin 43, KCNJ43) via NOTCH1 signaling. Activation of DOR on hMSCs plays a vital role in angiogenesis, anti-inflammation, and cardiomyocyte differentiation by regulating the NOTCH1 signaling pathway. Our results indicate that, upon activation of delta opioid receptors on human umbilical cord derived mesenchymal stem cells, they can differentiate into heart cells (by expressing specific markers GATA4, MEF2C, Connexin43), show enhanced formation of blood vessels and anti-inflammatory activity. This approach may help to treat pateints post heart attack. This study was funded by VIT SEED Fund awarded to DS.